How Does UK Car Finance Work? Are you looking to finance a car but not quite sure how car finance works? UK Car Finance make the process really simple. For a long time applying for car finance has felt a lot like throwing a dart blind-folded and hoping you hit the bullseye. You’re often forced to apply for car finance without any idea if you are likely to be approved. We don’t think that’s fair! That’s why we want to help you take back control of your car finance. Not only do we allow you to check your chance of being approved but you can also see what cars fit your monthly budget as a result all before you even apply! Getting approved for car finance depends on a few factors, one of which is your credit score. That is why we have created a car finance calculator that allows you to check your credit! All you need to do is pop a few details into our check your credit form and our system will have a look at your report and let you know which band your credit falls into. Our search function doesn’t leave a footprint meaning that only UK Car Finance and you can see that we looked at your credit profile. This way of searching your credit report is referred to as a ‘soft search’ and benefits you as it doesn’t leave any trace behind. Too many searches on your credit file can be seen negatively by other finance providers and harm your chances of being approved. We want to ensure you have the best chance of getting car finance! Once you have filled in the short form you will be taken to your personal results page. Here you will see your likelihood of being approved for car finance with UK Car Finance. We may also offer you a few tips to help improve your chances if your credit score doesn’t look too great. Once you know where you’re at with your credit you can start looking into the cars you may want to use your finance on. Our car search function allows you to browse cars in stock at local car dealers within your monthly budget. We have a wide range of makes and models to fit all sort of people. 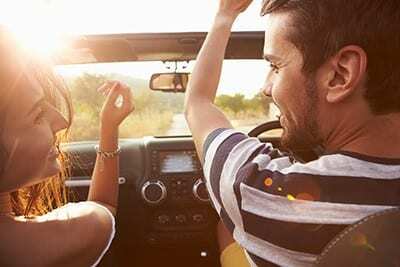 So, whether you’re looking for a family car to get the kids from A to B, or you want a sporty convertible to enjoy in the sun, we can help you finance it. We believe it’s important to get a sound understanding of the cars that fit into your monthly budget before you send over your application. This is usually the scary part for some people, but now you know your likelihood of being approved and the cars within your budget we think this becomes the most exciting part. Our application form is short and sweet, just taking the essential details. Once you have applied you will be contacted by your personal car finance expert who will be looking to gauge what you are looking for from your finance package. They can then match you up with the most suitable car finance lender to find you the best deal for you. You will have the responses back from our panel of lenders in no time, it usually takes 24 hours max! You can then choose the deal that works best for you and use it to buy your next car. Sign the paperwork, collect the car, and drive away! The last step is the most fun! Now that you have the finance sorted you can buy your car! if you’re struggling to find the make and model you want your personal car finance expert can help source it for you. UK Car Finance have established strong connections with trustworthy loca dealers across the North East of England to ensure you drive away happy. Once you have chosen your car, the lender will pay the dealer and you are free to drive it away. As long as you can say yes to the following then we can offer you car finance! To find out more about car finance, including the different types, deals and FAQ you can read our car finance guide. UK Car Finance Limited is acting as a licensed credit broker and a lender, we are authorised and regulated by the Financial Conduct Authority, registration number 714966. All finance is subject to status and income. Applicants must be 18 or over, terms and conditions apply, guarantees and indemnities may be required. Note: We cannot be held responsible for specification errors, and price errors, we use Motortrade software which is not always 100% accurate. Copyright 2018 UK Car Finance Ltd.
UK Car Finance can introduce you to a limited number of finance providers based on your credit rating and we may receive a commission for such introductions. Don’t be a backseat buyer. Take control of your car finance with UK Car Finance.